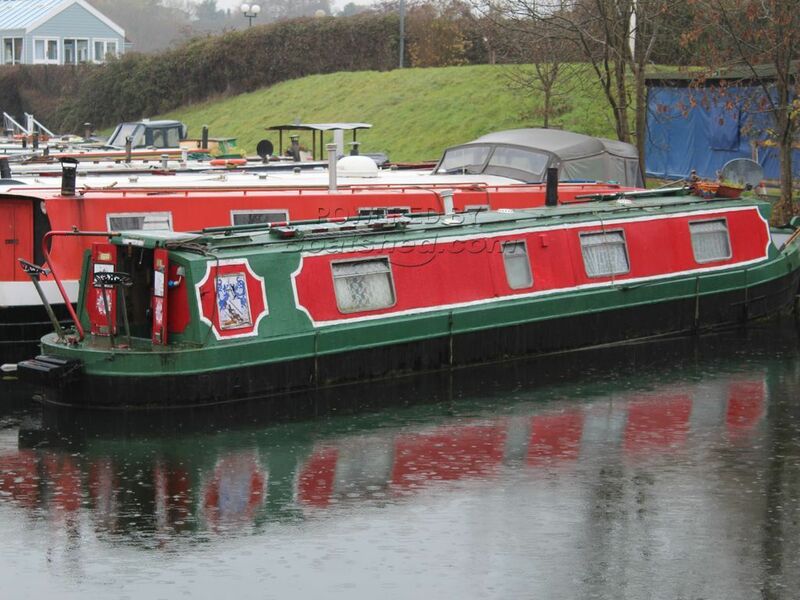 This is a comfort narrowboat with lots of storage space. With the engine room at the stern walking from the bow she appears to go on forever. There is a good size bed and a large saloon for her size. She comes equipped with a boiler and radiator, a stove and an invertor. She also has a large fridge and separate freezer. I did notice the flooring in the heads is bubbling and could probably do with replacing, there was some rust on the coachroof handrail and the paint job could do with tidying up a little although this is obviously not essential. This boat would be great as a live aboard or cruiser, she comes with her mooring which also includes parking and because of her size I think she great potential to become something really special. This Narrowboat 45ft Trad Stern has been personally photographed and viewed by Oliver Yates of Boatshed Bristol. Click here for contact details.